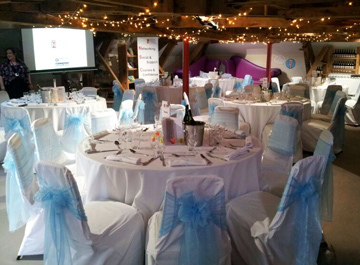 The Chairman of the Tyne and Wear Society of Chartered Accountants, Chris Soan, held his 2014 Chairman’s Dinner at Seven Stories, the National Centre for Children’s Books in Newcastle upon Tyne on 8 May. The Chairman’s Dinner was sponsored by Newcastle University Business School and guests from around the region enjoyed great food and company at a fantastic venue. Following dinner, the guest speaker, Ian Woodall, a British mountain climber who has climbed Mount Everest several times, delivered his Tao of Everest presentation, slightly different to his previous occupation as an internal auditor. He is looking to return to the World’s highest mountain in 2015. With a charity raffle in aid of Tiny Lives and a prize representing each floor of our venue, seven guests were made even happier! Raffle ticket sales raised £580 in aid of Tiny Lives – a constantly-in-demand charity that supports premature and sick new born babies and their families on the Neonatal Unit at the RVI hospital in Newcastle upon Tyne. 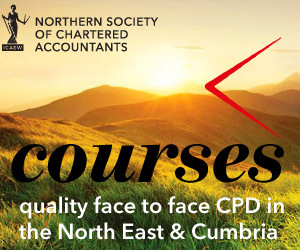 Northern Society of Chartered Accountants. A final thank you to guests for their support for this event. It is only through engagement and support that these local events can succeed.